Coding is fun with Swift Playgrounds. 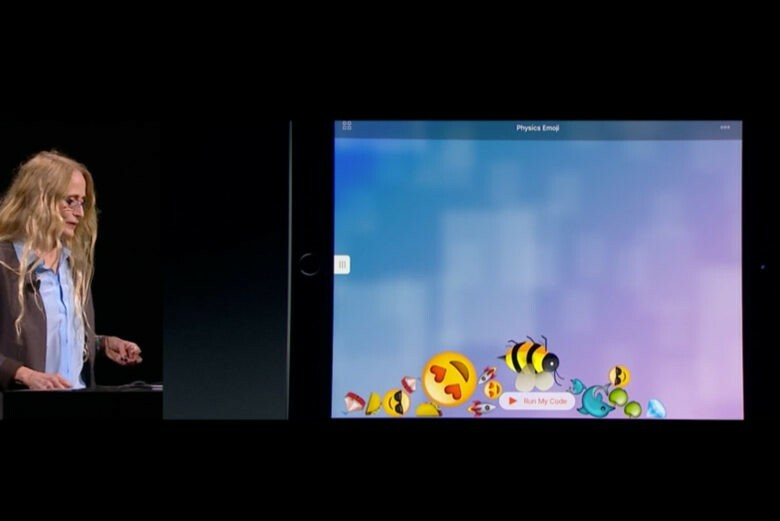 Apple introduced a powerful new way to teach kids how to learn to code today with a new app called Swift Playgrounds that makes learning Swift as easy as ABC. The iPad app helps students learn to code by presenting a number of simple lessons aimed at kids, though simpleton non-coder adults can learn a great deal from it as well. The simple app helps newbies master the basics of coding with games and other activities. It comes with a special coding keyboard that includes the most frequently used symbols in Swift. In addition to teaching kids the basics of Swift, the app also offers some more advanced lessons, like controlling physics. The app is launching with the developer build of iOS 10 and will launch in the App Store for free this fall.